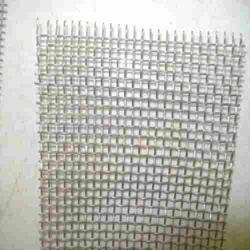 We are a leading Manufacturer of wire netting, ss wire netting and chicken wire netting from Kolkata, India. 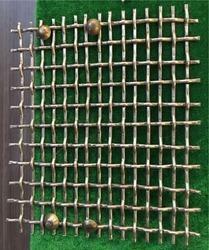 Wire Netting is made of low carbon iron wire with precision construction and uniform mesh. It is used in industries and constructions to sieve grain powder, filter liquid and gas, safety guards on machinery enclosures. Also for wood strips in making wall and ceiling. We manufacture square wire mesh from qualitative raw material such as galvanized iron wire, & stainless steel wire. In the manufacturing process, we use selected low carbon iron wire with precision construction, uniform mesh, fine rust-resisting and durable function. We are reckoned amongst the notorious organizations of a broad array of SS Wire Netting. This netting is designed and manufactured under the stern guidance of our deft professionals using the premium quality raw materials and ultra-modern machines in tandem with market quality norms. This netting is used in industries and constructions to sieve grain powder. The offered netting is made available in diverse sizes for our patrons to choose from. 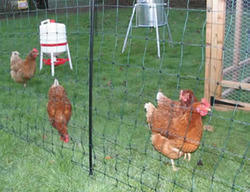 With the help of our skilled professionals, we are capable in offering a wide array of Chicken Wire Netting. The offered netting is designed and manufactured using supreme class stainless steel and advanced machines by our skilled team of professionals as per the set industry norms. This netting is made available in specifications to furnish client exact needs. We provide this netting at rock bottom prices to the customers.